Some people see their job as a means to an end, others look at it as a life choice and not work. Either way, everyone has to make money somehow. If you’ve been working a job that you hate, or can’t seem to find any career path that works for you, you might feel like you’ve hit a wall. But, just because you’re unhappy in work now, it doesn’t mean that will be forever. 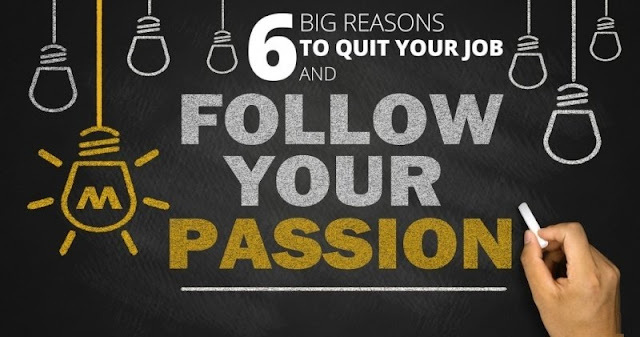 If you want to go to work happy, if you’d love to feel like you’re not working at all, or even if you’d love to have a blended work-life balance so that you’re really just living, maybe it’s time to think about turning to your passions. When you have a specific passion, you could have the love, drive, and determination to turn it into a credible career. But, how do you go about making that happen? When you’re hoping to turn your passion into a career, regardless of what your passion may be, you’re going to need to know yourself inside out. Having passion isn’t enough. Yes, you love the thing that you’re passionate about, but you have to be good at it too. To turn your passion into a career and make money from it, you should have skills. So, you need to sit down and work out whether you have the skills to back up your passion. If you’ve taken a long, hard look at yourself and your prospects, you’re then going to want to start looking at the career choices you passion offers. When you love tech, you’re going to want to look into the different types of IT jobs, like design, or coding, or even innovative technology. Then, you can figure out what career could be in front of you. Regardless of your passion or desired industry, the same process will work to help you see your options clearly. When you’re starting to get a better idea about what career options you have in relation to your passion, you might want to think about getting experience in the industry. It’s often a good way to see if you’d enjoy the career, as well as boost your resume. Whether you take on side projects or undertake an internship, you’ll get a good feel for what that career choice would bring. If you’re really starting to think that this career choice is definitely right for you, you’re going to want to start networking. If you currently have a completely different job, you may find it hard to get a foot in the door. But, when you network, you’re making valuable connections, and a job offer could arise off of the back of your efforts. Another option you have when you’re looking to break into an entirely new industry is to go freelance. If you work in a store, but you’ve always wanted to write, you’ve got yourself some writing experience a few solid clips, deciding to go with a freelance writing career could be the best way for you to break into your chosen industry. During the entire process, you’re going to want to make sure that you’re pursuing your passion. Even if you’re trying to get your break, you should still be working in the background at your coding, or writing, or painting, or sport. When you’re still doing it as a hobby, you may land your dream job, just because someone noticed what you’re doing. So make sure you keep it up. At the same time, you should work on ways that you can improve yourself. It’s not something that everyone is comfortable with, but when you’re looking at a major career change, or you’re trying to break into a highly competitive industry or job role, you’re going to want to do everything you can to stand out. So, by continuously learning, working on improving your skills and building your knowledge, you'll be doing everything you can to give yourself a competitive edge. And finally, always think to go the extra mile. With your hobby, side projects, networking, experience - all of it. Whether you work for yourself or for a company, going the extra mile is always impressive. Not only will it make you stand out as a star employee or contractor, but being kind and humble, and thinking outside of the box could be the reason you finally get your foot in the door in the first place.